I hadn’t felt this way about a film since I was 10 years old, sitting in a packed and darkened theatre, watching Stars Wars. At that moment, even as a little child, I felt I was witnessing a story that was larger than life. Yesterday, I was once again stunned and impressed by the story that unfolded before me in this season’s blockbuster movie, Inception. I left the film asking more philosophical questions such as: What is ultimate reality? Do we all go through life with our own version of reality, and how much of it is shared with others? How does our own thinking and memories skew our perception of truth? At what point do our deep-seated emotional experiences bubble up from our subconscious and find their way into our waking life? This is one movie not to be missed this summer! This week I have been doing a lot of research and reading for my next project–chronicling visionary women of the 20th century. It feels like I am giving a gift to myself– to read and learn about the lives of so many people who had a drive and motivation to bring about change in the world, which in turn has affected and inspired the lives of others. Sometimes we think that changing the world has to translate into social action, but that would make for a very narrow definition of a cultural shift. Just think about those scientists, authors, philosophers, athletes, and artists who broke boundaries in their fields. They too held true to their passion and managed to bring about a different perspective and vision to the world. What becomes clear is that whatever these women set out to do, it first started with a very personal desire to fulfill an inner need. They dedicated their lives to its unique expression. And their approach to their craft was much like their approach to life — it was filled with a spirit of adventure, passion, and an inner devotion to more a over-arching value. She was an American dancer choreographer regarded as one of the foremost pioneers of modern dance, whose influence on dance can be compared to the influence Stravinsky had on music, Picasso had on the visual arts, or Frank Lloyd Wright had on architecture. She was the first dancer ever to perform at The White House, the first dancer ever to travel abroad as a cultural ambassador, and the first dancer ever to receive the highest civilian award of the USA: the Medal of Freedom. It is obvious that the axioms for fulfillment and success are the same no matter what you undertake. These women were able to translate these philosophies into the very heart of their lives. No matter where we are in our journey, there is someone whose life, when contemplated on, allows us to find a richer, deeper meaning in ours than we would otherwise. 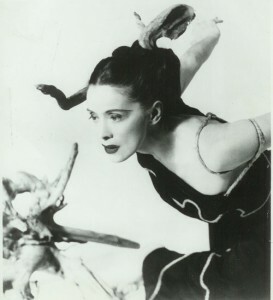 This week it has been Martha Graham’s for me!